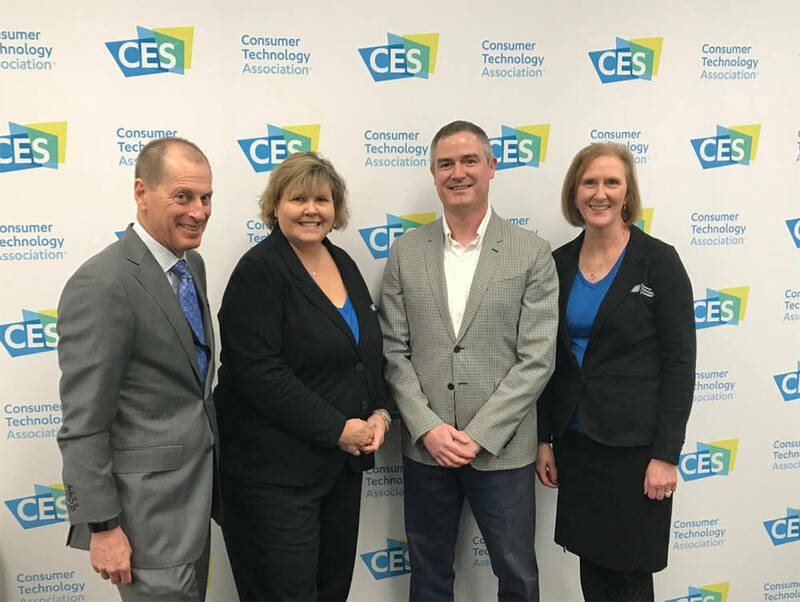 From left, Gary Shapiro, Glenda MacMullin and Karen Chupka of the Consumer Technology Association with Tom Kovach, second from right, executive director of the LVMPD Foundation. The Las Vegas Metropolitan Police Department Foundation was established in 1999 as the nonprofit arm for the Las Vegas Metropolitan Police Department. The Foundation’s mission is to raise funds to support LVMPD programs. Donations are directed to initiatives including updated equipment for the department; advanced officer training; support for the families of fallen officers; higher education scholarships for children of officers; and Every 15 Minutes, a program which aims to reduce traffic fatalities by educating new teen drivers on the safest ways to travel the roads. Bank of America has announced Junior Achievement of Southern Nevada as its 2017 Neighborhood Builder. The nonprofit is being recognized for its work in providing hands-on financial literacy curriculum to young people, which in turn, contributes to future economic and social progress in Southern Nevada. Through Neighborhood Builders, the bank provides nonprofits with a unique combination of leadership development (for the executive director and a developing leader in the organization), $200,000 in flexible funding, a network of peer organizations across the U.S. and the opportunity to access capital in order to expand their impact in the Las Vegas community. Junior Achievement of Southern Nevada Inc. was founded locally in 1996. Since its inception, the nonprofit has impacted more than 330,000 students and, today, reaches over 20,000 students annually throughout Clark County.